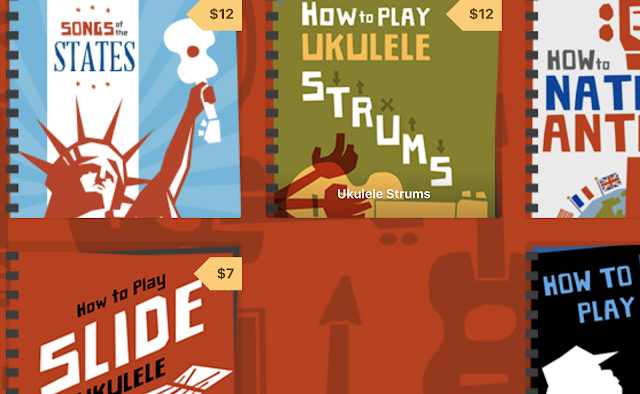 OK, so some people don't like the idea of ukulele straps. 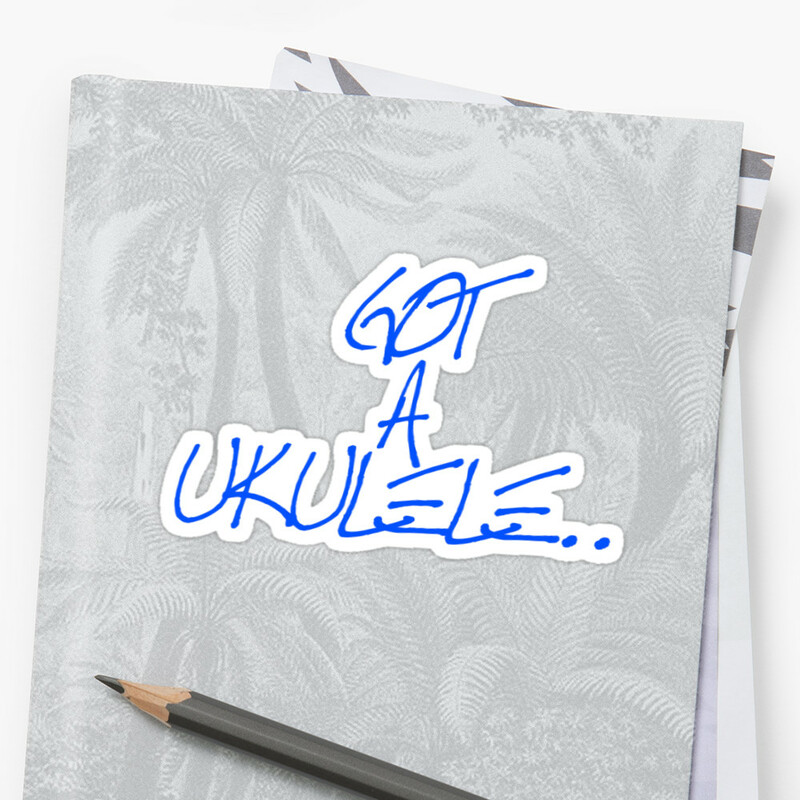 But each to their own, some people do like them and therefore are on the hunt for ukulele strap ideas. Some people however, perhaps undertandably, don't want to drill strap buttons into their ukuleles. I then got a contact from Lori Apthorp at the Uke Leash company asking me if I would mind testing and reviewing her design. Lori explains that it does away for the need for a ukulele strap button altogether. You know what I really like? I really like it when somebody invents something so simple that just plain works. No faffing, no downsides, things that just WORK. I really really like those things. Hmmm, I think Lori has sent me one of those! The Uke Leash is a ukulele strap / support that requires no screws, no buttons, no glue, no damage to the sound hole - no modifications to the ukulele whatsoever - now that does sound kinda cool. So I opened my parcel and there they were - a couple of Uke Leashes. They are nice thin bands (nothing too overkill for a small instrument) that have a large loop at one end, and a small loop at the other. There are also a couple of quick release buckles at each loop - more on that later. 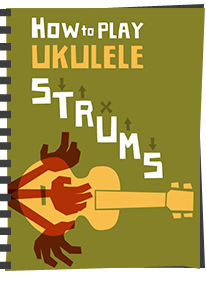 To use the Uke Leash, you attach the smaller loop to the headstock of your ukulele - between the tuners and under the strings. Both of my ukes I used for the test are slotted headstocks (which I used to deliberately try to fool the product!) - but nope - they work fine. The loop is held secure with a standard buckle affair. The other end of the Uke Leash (with the larger loop) is for putting your arm into. Now, try as I might, I cant find the words to simply explain how you then use it, which is strange as it really IS so simple, but you kinda loop it over your head and around the back of your neck. In fact there are several ways to wear it all clearly described on the brilliant instructions with photographs. There are a couple of round the neck variations, a round the waist option, and one that goes around the leg. As you will see from the picture, whilst I am holding the uke, the neck of the uke is actually supported by the strap. 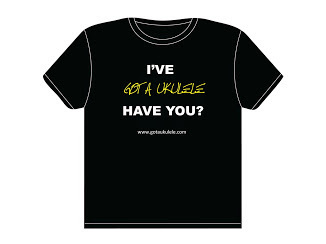 This allows you to hold the uke to your body and have your fretting hand free. In use, I found that it made barre chords easier to form when playing standing, and on an extended session had me adjusting my holding position FAR less - this has to be a good thing because you can concentrate on the music, not on the instrument slipping. I can also see these being of great use to those players of, how can I say it, a slightly larger form, or for women of, ahem, a larger form on the front! So, what about those buckles - well, the one on the large loop basically opens the large loop. I don't see I will need to use that very much as my arm goes in and out of the loop fine, but I think its also used for the optional leg attachment the store sells. The buckle at the headstock end is the clever bit - opening it allows you to completely remove the main body of the uke leash from the instrument. 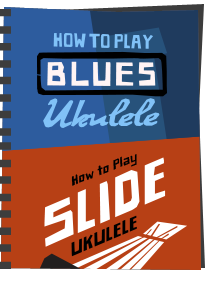 This means that if you buy the extra headstock buckles, you can attach one to each ukulele you own, and only need one strap - cool! Picture below shows a second loop fitted to my Mainland ukulele. As you will have seen from the pictures, the Uke Leash comes in two types of material, webbing and leather. The leather comes in black or brown, and the webbing in a rainbow of colours! 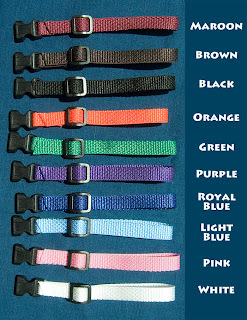 They are very simple, but very nicely made - no duff parts, and the buckles are good quality and secure. The straps are also branded with the logo on a leather tab, and Lori advises that if you are attaching to a very expensive instrument and are worried about the finish, that she sells a protective suede sleeve for the headstock loop. To be honest, I don't see how they could cause a problem, but nice for peace of mind I suppose. 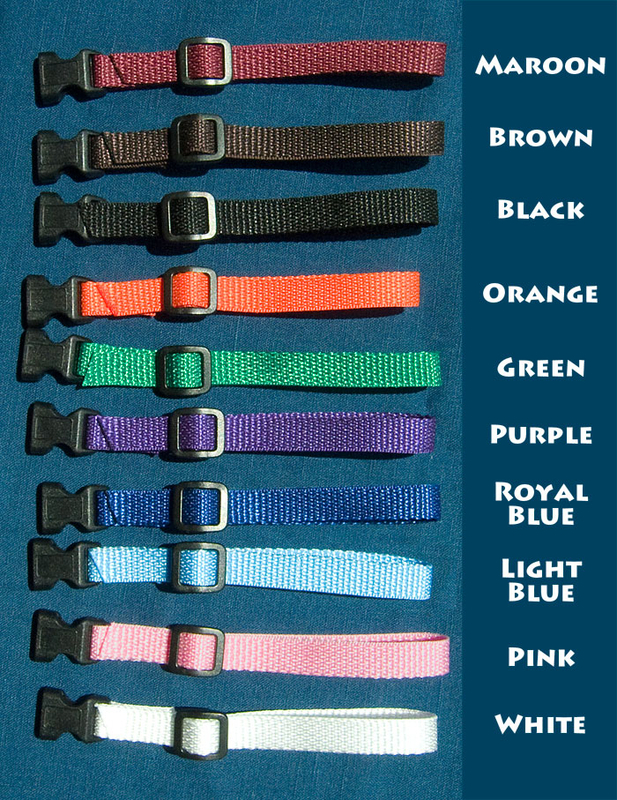 Other accessories include a strap button adapter which turns the uke leash into a full strap. So for the positives - I think they are just GREAT - a simple product that plain works without any modification to your instrument. They make the instrument feel lighter and easier to play and on heavier or more difficult to hold ukes, really help in controlling the instrument. For playing standing up in extended sessions I can see that it will be a real boon. They are very well made, nicely priced, and the unlocking headstock loop allowing all your instruments to be "Uke Leash ready" is just genius. Downsides? Not really any. OK, its not a full strap, its a support, but that's hardly a complaint. 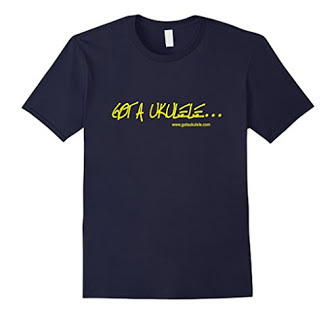 I suppose you could forget it was there, sit down with uke on the table and walk off dragging the ukulele behind you (Uke Leash include a warning label to that effect) but I think you'd have to be pretty stupid to do so. As I say, downsides, not really any. Its great! 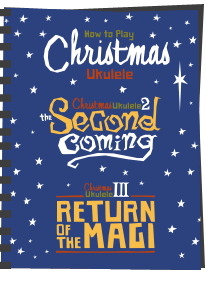 And, as you saw, there are two Uke Leashes in the photographs - keep an eye on this blog as I will shortly be running a free to enter competition for you to win one of these! I made one out of a couple of old shoelaces. Sure - you could do that, or any old bit of string. Would much prefer a uke leash though. Comfortable, adjustable and that quick release clip at the headstock is genius. Hi my name is Steve from the UK and i'm new to playing a ukulele.I bought a uke leash a couple of weeks ago from Lori,tried it out and found that the leash made holding the uke easier,also great value for money.If anyone is thinking about buying one get one. I've used these for about five years or so. I got extra headstock loops for each uke, and a full strap for my banjo uke. I gave up playing strapless on the guitar years ago and when I took up uke I could see the same issues would drive me to find a strap solution for it. I want my left hand free of neck support duties so I can switch hand positions quick chord changes, etc., without worrying about supporting the neck. I admire those who pull that off in the traditional under-the-arm, strapless manner. I can't, and the half strap is just enough strap for me. I highly recommend this product.